7 Tipperary Thatched Cottages is a quaint, detached cottage set in the village of Puckane, County Tipperary. With three bedrooms including one ground floor double, a twin, and a ground floor adult bunks bedroom, up to six people can stay. There's also a ground floor bathroom, a kitchen and a sitting room with a dining area and a cosy open fire. Outside, there is off road parking for one car with additional bay parking on a first come, first served basis, along with a shared lawned area to the front of the property with a private garden furniture. Within easy reach are the beautiful, expansive waters of Lough Derg, and golf-enthusiasts and walkers will also be delighted with the location of 7 Tipperary Thatched Cottages. The village of Puckane lies on the banks of Lough Derg, the Republic of Ireland's second largest lake, 6 miles from the town of Nenagh, in County Tipperary. 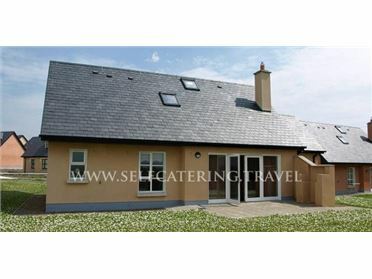 Puckane typifies rural Ireland, and a collection of 12 Puckane holiday cottages are located right in the centre of the village, around a village green. The village also offers a shop, tennis club and Kennedy's Pub, a traditional Irish pub. .